Fussy Cut: What’s all the fuss about? Have you ever fussy cut your fabrics? I do from time to time but I wanted to make sure everyone understands what this term actually means. You see, fussy cutting by definition is to target and cut a specific motif that’s printed on fabric, rather than randomly cutting yardage. There are some tricks to the fussy cut. Let me break them down for you. 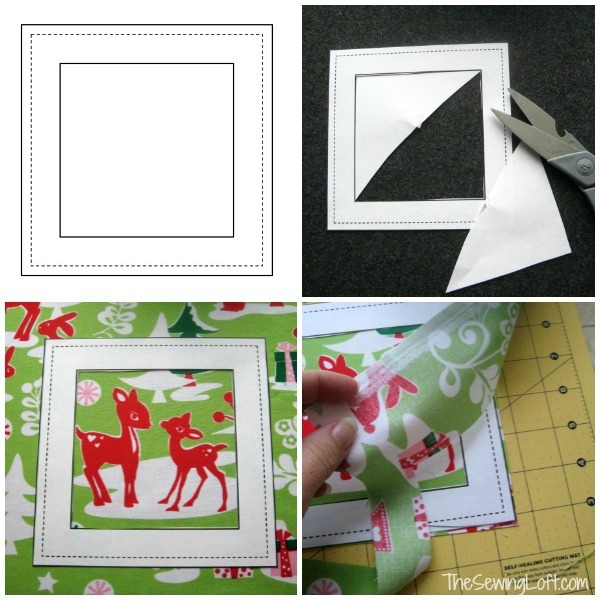 Paper Window Template- these are easy to create and can save you much heartache when cutting expensive fabric. To create a paper template, simply determine the size of your cut out, add seam allowance and cut window. To make things easy, I have created a template for a 6″ quilt block. Simply print and cut out template. Don’t forget the inside window. Position template over fabric design and carefully cut out with a rotary cutter. Clear Ruler– this tool is your friend! 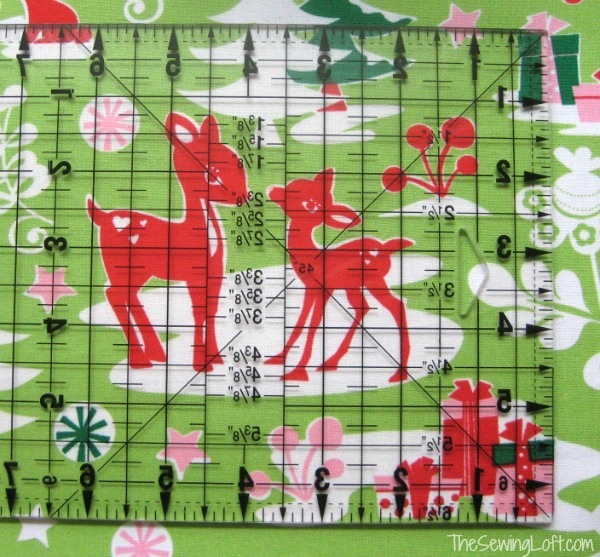 By positioning the ruler over your fabric design you can center your design and clearly mark the cut area. Free Hand Cutting– sometimes, free hand cutting is the way to go to create your fussy cut. My suggestion is to remember your seam allowance when cutting. 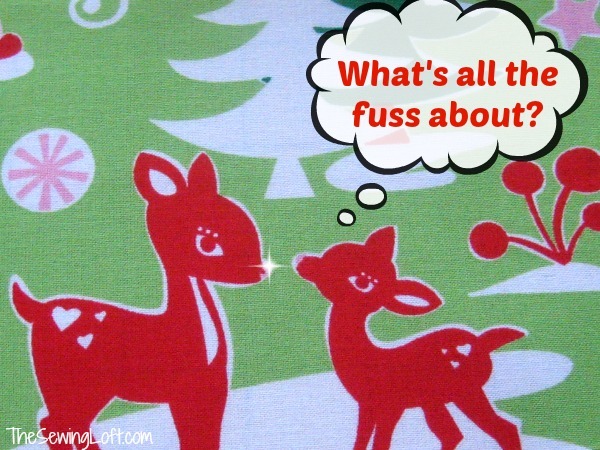 Fussy Cutting can be used to create so many fun things from iSpy quilts to window treatments. I also like to use this technique for english paper piecing, scrappy bibs, pillows and appliqués. Update: New Template with 3 quilt blocks.